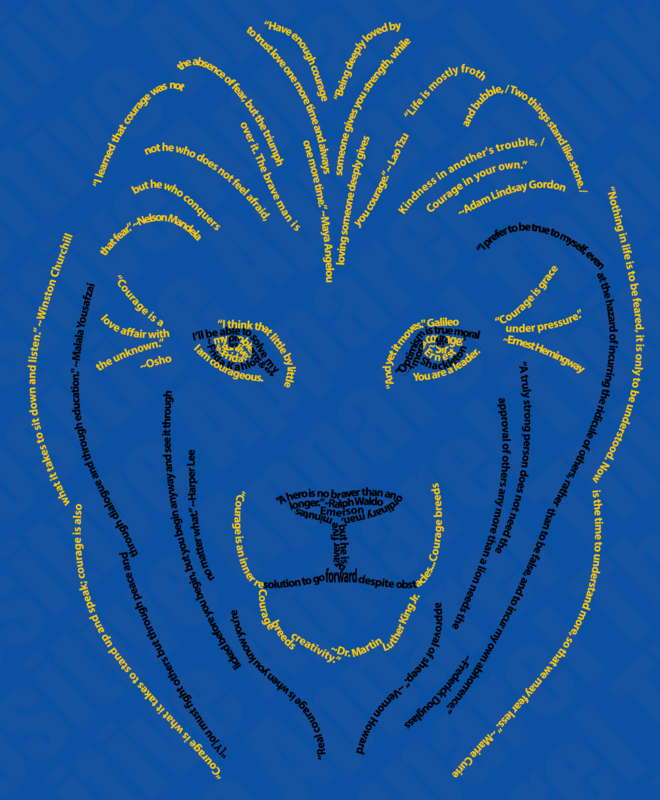 Our Lion of Courage is made out of quotations on courage and we screen print it on great shirts like this men’s crew neck in cool blue. This Think Positive Apparel Lion design is made entirely out of quotations on courage from various leaders, heroes, and artists. 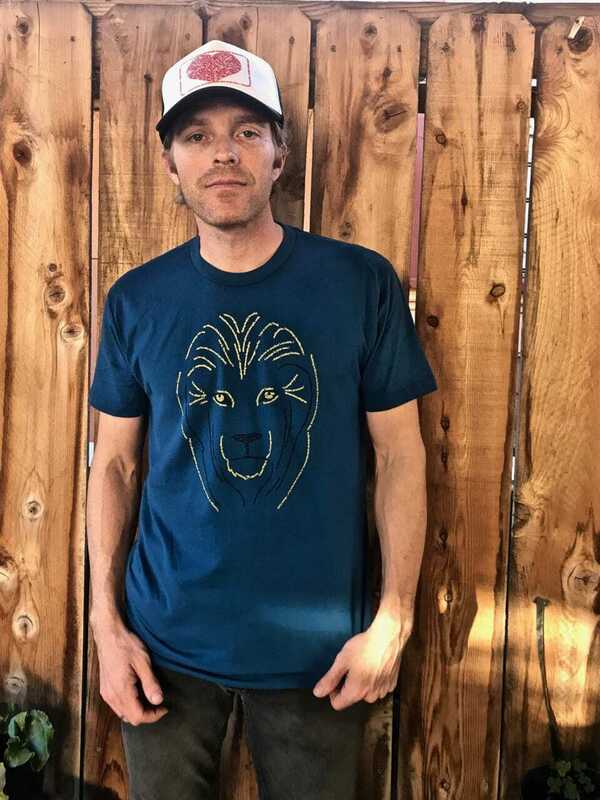 You can purchase this Lion design screen printed on these shirts. “Courage is an inner resolution to go forward despite obstacles… Courage breeds creativity.” ~Martin Luther King Jr.
Share your favorite quotes on courage or any positive thoughts you have on the subject by leaving a comment below. ← Street Interviews: What are your favorite things about humanity?